00:10 caroline_ it's rare that we're on at the same time! 00:11 dcook It's true! What are you doing up so late? 00:11 dcook Well and on a Sunday? 00:13 dcook Oh tell me more? 00:14 dcook What kind of computer do you have? 00:14 caroline_ stuck at "kohadevbox login: _"
00:14 dcook "kohadevbox login: _"
00:15 dcook Where are you seeing that? 00:15 dcook Do you run Ansible from your Mac or do you use LOCAL_ANSIBLE=1? 00:15 caroline_ uh... not sure...? 00:16 caroline_ I followed the instructions on gitlab up to "vagrant up"
00:16 dcook And after you do "vagrant up", it's prompting with "kohadevbox login: _"? 00:16 wizzyrea yeah does it do "stuff"
00:16 wizzyrea before it dies? 00:17 caroline_ I'm not sure how I got there. I did that maybe two weeks ago. And now I clicked on the VM in Virtual Box and it's just a black screen with "kohadevbox login:_"
00:18 wizzyrea and it should autologin? 00:19 caroline_ Should I turn off the vm? 00:19 wizzyrea naw, if you do that it won't be running anymore. 00:19 dcook When you click on the VM in Virtualbox, you're opening up a console through Virtualbox. But you don't need to do that. 00:20 caroline_ Ah ok so once i'm in vagrant kohadevbox:~$ I can use my browser normally? 00:21 caroline_ I don't need to open the VM and go into the browser there? 00:21 caroline_ and localhost is literally "localhost" or I should sub that for something else? 00:23 dcook What do you see when you go to http://localhost:8080? 00:25 dcook What do you see when you go to http://localhost:8080 on your browser? 00:30 wizzyrea ehh, if it were me I'd send that one to the abbatoir. 00:32 wizzyrea if that makes sense? 00:33 wizzyrea and just kinda watch it, and see if it poops out anywhere. 00:34 wizzyrea it's gonna take a bit you might want some ice cream. 00:42 dcook And no worries! 00:42 wizzyrea "they are gonna have the best life until their one very bad day"
00:42 dcook With koha-testing-docker, the provisioning happens when you build the image, so start-up time takes maybe a minute or less. It's wonderful. 00:42 dcook Well not all the provisioning. But lots of it. 00:44 wizzyrea ok, these are herbs not flowers. Chop them down any old time and grow new ones. 00:45 wizzyrea basically lunch time. 00:50 wizzyrea you kind of start at pro mode. 00:50 wizzyrea we ask all the hard things straight from the get go. 00:52 wizzyrea I had literal 0 experience with git when I started. 00:52 wizzyrea literal 0 about perl in itself. 00:53 wizzyrea and poking your nose into it until it makes sense. 00:54 dcook I think koha-testing-docker was my first time using Docker? 00:54 wizzyrea and I don't have time for that crap. 00:54 caroline_ what is the difference between devbox and docker? 00:55 caroline_ but basically the same use? 00:56 dcook wizzyrea: That's super interesting. I'll keep an eye out for that. 00:57 wizzyrea unless I need to for some reason. 01:21 dcook I think it once took me nearly an hour? 01:22 caroline_ can it go in sleep mode? 01:33 dcook And yep! All about the baby steps! 02:09 rangi dcook: did you know jessie is doing a talk about her regrets about containers at kiwicon? 02:10 dcook rangi: Nope. I just remember kiwicon being finished and then hearing that it was starting up again? 02:12 dcook rangi: Just read the abstract. Sounds super interesting. 02:12 caroline_ +1 thank you! 02:13 caroline_ nice talking to you guys! 02:13 dcook rangi: So what's the story about kiwicon? It's a thing once again? 02:16 dcook "Note that this is a Friday and Saturday, not a week day or just on a weekend as per some other ‘cons. We're good like that." 02:29 dcook rangi: So you're presenting with your dad? 04:07 huginn paxed: Joensuu, Finland :: Clear :: 28F/-2C | Wind Chill: 22F/-6C | Monday: Sunny skies during the morning will give way to cloudy skies and light rain late. High 41F. Winds S at 10 to 20 mph. Chance of rain 90%. Monday Night: Cloudy. Periods of rain early. Low 36F. Winds SSW at 10 to 20 mph. Chance of rain 90%. 06:17 dcook The update for 3.14.02.001 and 3.15.00.006 are the same..
06:17 dcook Safe to ignore I suppose..
06:19 dcook How's it going? 06:20 dcook Need to fix one permission issue and then this database should upgrade..
06:21 dcook oh wait not permissions... foreign issue. Yuck..
06:24 magnuse dcook: not too far to count, perhaps? 06:33 dcook Hurray. foreign key issue was due to the collation in update_database.pl not being up-to-date. Weee. 07:26 * ashimema feels like the pushed to master list is never ending at the moment.. must be a release coming up..
09:50 ashimema Joubu around per chance? 11:06 magnuse as a tag? 11:07 ashimema what.. a MARC tag? 11:10 Arthur_ Hi guys, anyone know what might be the issue when i'm creating the lxc package, I get following error: "Error creating container u1"
11:24 Arthur_ i'm fairly new in development, can anyone help me out with this? 11:30 ashimema what sort of development are you hoping to do on Koha? 12:39 ere kidclamp: On a related note, would you be able to address the review comments in bug 18316 sometimes in the nearby future? 12:54 kidclamp will try ere, unless alex_a_ is working on it? 13:01 ere kidclamp: Oh, right, have a nice holiday! 13:09 huginn LeeJ: The operation succeeded. 13:37 magnuse if plack is stopped it just gives an error or something? 13:38 ashimema I might be getting it wrong.. I don't think we fall back to cgi errors if plack has gone away do we? 13:38 ashimema tcohen might know? 13:41 tcohen should we add a 'Maintenance mode' functionality and use it? 13:42 ashimema huh.. there's already such functionality isn't there? 13:42 ashimema oh.. you mean at the package level somehow do you? 14:11 ashimema is the almightly oleonard here? 14:17 ere alex_a_: Julian had some comments that need to be addressed, it seems. 14:19 ere alex_a_: Ok, perfect. Just wanted to know that it hasn't slipped the radar. 14:43 corilynn the first line in the "failed QA" message is "Please add the new authorised value category to the default list and add a database update." can someone point me to a fixed bug that does that so I can poke around? 15:06 ashimema looks like new auth values haven't been added for ages! 15:31 ashimema I bet you don't happen to have a copy of PBP available to you do you? 15:46 * ashimema continues on his mission to get the SO queue down to below 70 before clocking off..
17:10 huginn ashimema: The operation succeeded. 17:52 CrispyBran @later tell Joubu When you get a chance, please look at bug 21503 and sign off if you think it looks good. Thank you! 17:52 huginn CrispyBran: The operation succeeded. 18:04 tcohen CrispyBran: why does it say '17.05' instead of master? 18:06 CrispyBran tcohen: no clue. Just set it to master now. 18:06 wahanui darn tootin' it is. 18:08 CrispyBran ashimema: simply expanded on Joubu's work. Seems everyone has a preference about it and I can't satisfy everyone. 18:12 CrispyBran tcohen: Do you mean include test plan for old behaviour before patch? 18:14 tcohen and you change them, ok? 18:14 CrispyBran Thanks. I have no idea what any of that means. It has never been explained. 18:20 tcohen CrispyBran: does it make sense? 18:20 CrispyBran Yeah, I guess this is something new I need to learn. Someone is going to have to walk me through that process or point me to documentation on it. Where do these tests live and how are they implimented? 18:31 CrispyBran tcohen: forgive my ignorance. How do I get in a kshell? 18:31 CrispyBran Need to add this to my notes. 18:33 CrispyBran I think I have it. 18:40 CrispyBran tcohen: looking at the test. Interesting. I have no clue how to begin writing tests. 18:56 Joubu I have 2! 19:03 Joubu corilynn: did you take into account the second point of comment 4? 19:06 corilynn Katrin is saying that you should check to see if there are entries in authorised_values and if not then don't show the widget? 19:08 CrispyBran I am so lost now. 19:09 corilynn thx muchly Joubu! 19:11 Joubu corilynn: "Bug 19263: "
19:12 corilynn I'm like... it's there! 19:14 Joubu corilynn: do you have a suggestion to make it more explicit? 20:37 corilynn Joubu... you still there? 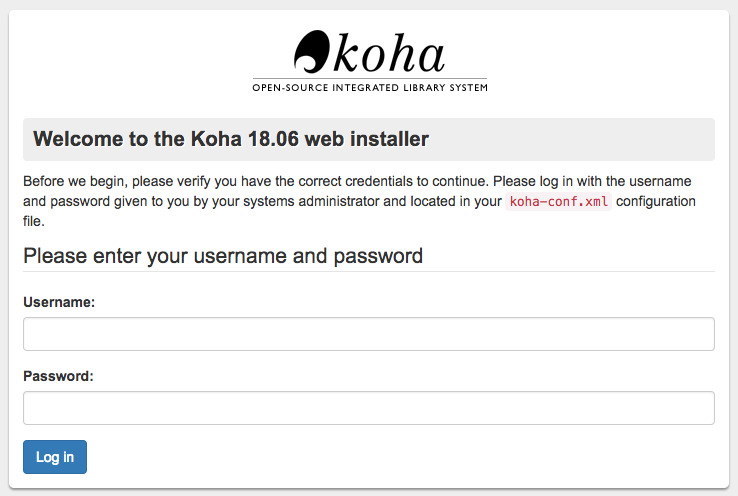 20:38 corilynn anyone... what do I do if the koha-qa.pl says fail? 20:57 corilynn wizzyrea, when I do a git bz attach -e <num> HEAD it's not automagically changing the bug to "Needs Signoff", what am I flubbing? 21:24 CrispyBran corilynn: you need to remove the hash (#) in front of that status when you edit (-e).